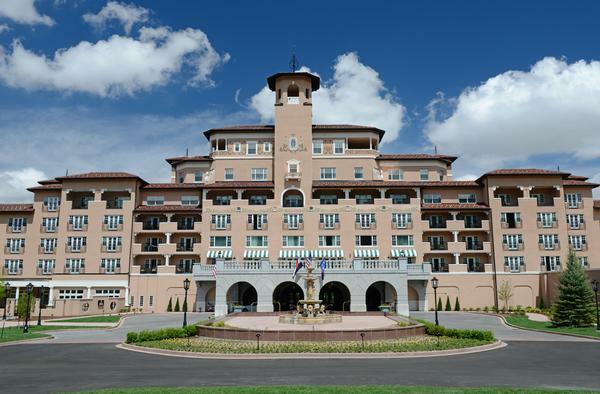 Since opening its doors in 1918, the Broadmoor Resort in Colorado Springs has been a pillar of the American hospitality industry. 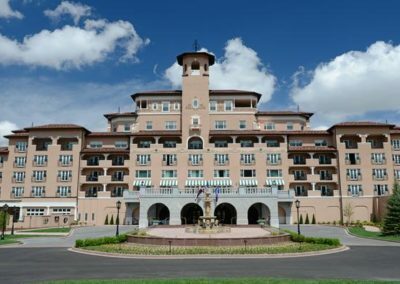 The winner of both the AAA Five-Diamond and Forbes Travel Guide Five-Star awards, the Broadmoor offers deluxe accommodations, activities and specialized experiences for guests of all ages and interests. 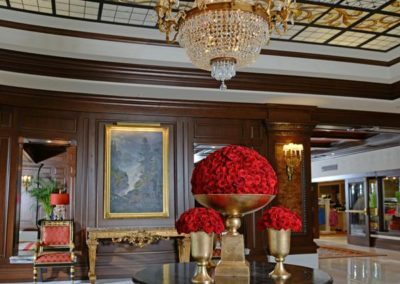 After almost one hundred years of continuous operation, many of the resort’s historic buildings were in need of restoration. Conrad Schmitt Studios was chosen to care for the property’s unique historic decorative painting and stained glass. 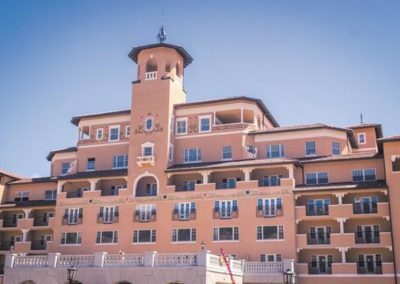 Working with the Broadmoor facilities management team, CSS developed stenciled designs that replicated the style of bas relief plaster elements which were peeling and cracking with age. The stencils feature trompe l’oeil vine motifs and acanthus leaf borders around the windows, replicating the folk-inspired fruit and figural elements from the original decoration. The stained glass laylight in the West Building Main Lobby features an elaborate geometric and floral design executed in brilliant shades of gold and crimson. Paint was mixed with lavender oil to achieve a smooth, dramatic gradation. 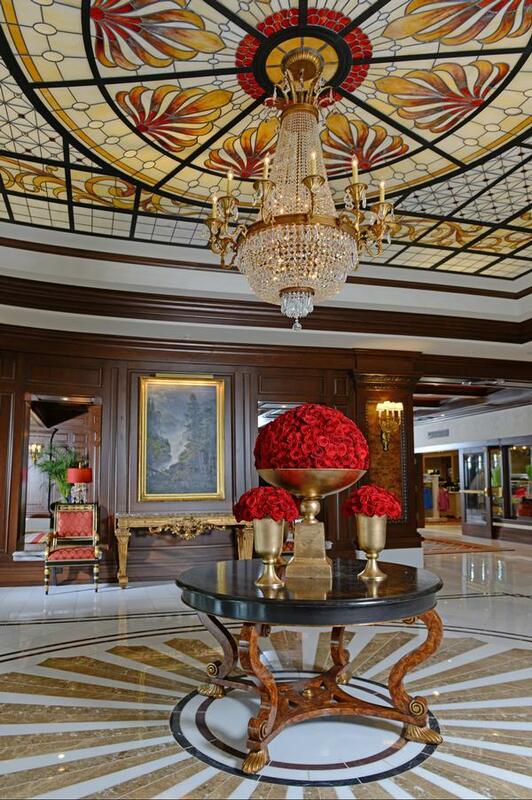 The laylight is centered above a crystal chandelier, and is lit from above to cast an elegant glow onto the lobby below. 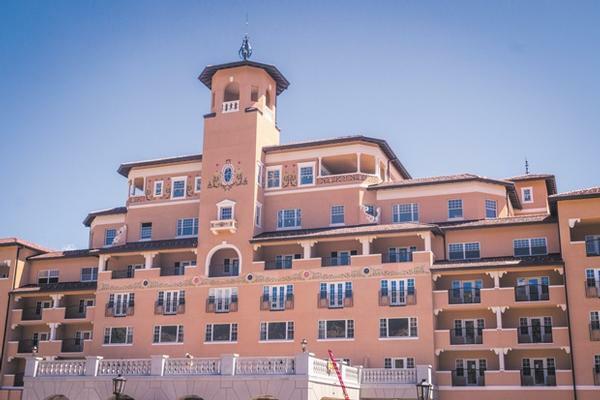 After careful restoration, the Broadmoor Resort once again offers its guests the opportunity to experience timeless elegance and luxury at a one-of-a-kind historic property.